Transnational organised crime is ‘big business.’ In 2017, the United Nations Office of Drugs and Crime (UNODC) estimated organised crime to be worth between USD$ 900 billion and 1.1 trillion (AUD$ 1.2 trillion and 1.5 trillion). Moreover, this year UNODC reported that global cocaine production has reached the highest levels ever recorded (1,280 tonnes in 2016, increasing 25 per cent from the previous year) with 70 per cent of global supply of cocaine being produced in Colombia. This cocaine is trafficked from Colombia through Central America into Mexico as well as transiting through ports located on Latin America’s littorals on the Pacific and Atlantic Oceans. Over the past decade, Latin American organised crime groups, particularly those operating in Colombia and Mexico, have evolved into a complex mosaic that includes large, medium and small-scale actors all vying for command-and-control of territories, trafficking routes and distribution networks. However, these groups utilise diametrically opposed strategies to achieve their organisation goals. In Colombia, organised crime groups are opting to cooperate rather than compete to achieve their organisational goals. The increasing cooperation between Colombian organised crime groups has led to a significant reduction in homicides across the country. In 2017 Colombia recorded its lowest homicide rates in 42 years. This reduction is particularly evident in the Colombian city of Medellín which has experienced a 95 per cent reduction in homicide rates over the past 40 years. In contrast, Mexico is experiencing an explosion in violence which has led to a record number of kidnappings and homicides across the country in 2017. Over the past three years, homicides have increased by 33 per cent from 16,909 in 2015 to 25,399 in 2017. In October last year, 2,371 homicides were recorded, making it the most violent month in the last 20 years. The main cause of the escalating violence is the ‘Balkanization’ of organised crime in Mexico. In the 1990s organised crime was dominated by four main groups: the Sinaloa, Tijuana, Juárez, and Gulf cartels. However, over the past two decades these organisations have fragmented into as many as 20 major organisations. The state of Michoacán was previously dominated by La Familia Michoacana and its successor the Caballeros Templarios. Now, however, newer organisations such as Cártel de Jalisco Nueva Generación and Los Viagras are fighting for control and dominance in the region. The once powerful and monolithic Gulf cartel of the 1990s no longer exists. In its place fragments of the old organisation have emerged in the form of smaller groups all claiming to be the Gulf cartel. The process of decentralisation of organised crime has resulted in violent competition for territorial control of trafficking routes through Mexico. While this fragmentation and decentralisation is driving most of the violence across Mexico, it has not disrupted the ability of these groups to participate in transnational organised crime networks. This is increasingly important for the Asia-Pacific region, which has become a key target of these networks. In the last few years Latin American organised crime groups have drastically expanded their production and distribution of drugs into the Asia-Pacific. This has facilitated the development of relationships between Chinese and Mexican organised crime groups in the global production and supply of methamphetamine, fentanyl and their precursors. Poor regulation in China has allowed organised crime groups to be unencumbered in accessing precursor chemicals which are shipped across the Pacific to copious ‘super-labs’ in Mexico, where commercial quantities of illicit methamphetamine and fentanyl are produced for distribution to the global market. 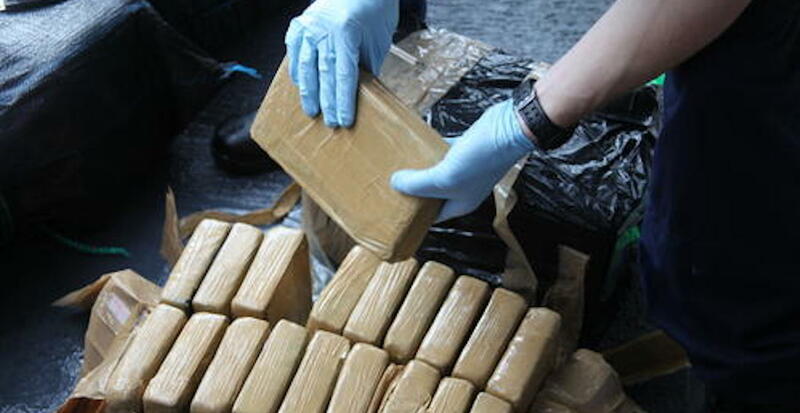 In exchange for the supply of precursor chemicals, Chinese organised crime groups received large quantities of wholesale cocaine that are then sold at retail in the Asian region. Colombian groups play an important role in this trans-Pacific network as the key suppliers of cocaine to Mexican cartels. In 2015, the Australian Criminal Intelligence Commission (ACIC) concluded that Mexican cartels are implicated in the supply of methamphetamine and cocaine to the Australian market. More recently, the ACIC reported that 75 per cent of cocaine seized in Australia had its origins in Colombia, a 30 per cent increase since 2009. The high prices paid for illicit narcotics in countries such as Australia act as a gravitational pull for Latin American crime groups to expand their operations into the Asia-Pacific. Regardless of whether Latin American organised crime groups opt to cooperate or compete internally, they continue to demonstrate the capacity to operate successfully as part of transnational criminal networks that span the Pacific. Greater attention from policy-makers and practitioners is required because the ‘tyranny of distance’ no longer protects Australia from the reaches of these transnational criminal networks. Dr Caroline Doyle is a Postdoctoral Fellow in the School of Business at UNSW Canberra. Caroline has extensive fieldwork experience in Latin America and has published articles on explaining homicide patterns in Medellín, Colombia. Dr Anthea McCarthy-Jones is a Lecturer in the School of Business at UNSW Canberra. Anthea has extensive fieldwork experience in Latin America and has published articles on the politics and policies of the region. This article is based on their presentation on “Understanding the changing dynamics of Latin American organised crime and its impact on the Asia-Pacific” at AIIA ACT Branch on 11 July. This article is published under Creative Commons Licence and may be republished with attribution. 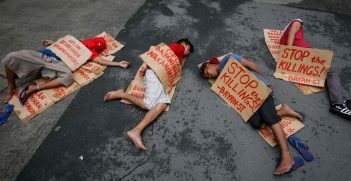 Philippine President Rodrigo Duterte has retorted that his war on drugs "will not stop" despite the International Criminal Court's investigation into extrajudicial killings related to the campaign. Is raising the profile of alleged crimes to the international level enough? 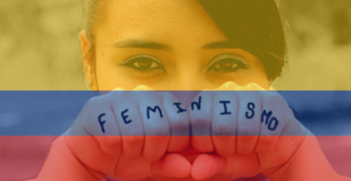 After the end of the Western hemisphere's longest-running conflict, Colombia's new peace is based on strategies to address deep-seated gender inequalities. 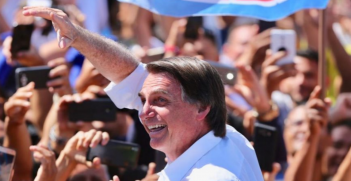 Retired Army Colonel Jair Bolsonaro has aptly exploited a series of existing frustrations in an election divided as never before by radicalism, social values and gender.